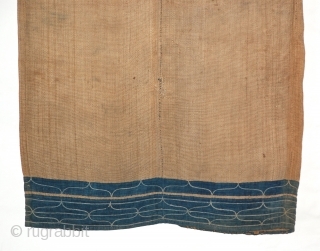 elm bark fiber, indigo dyed cotton, silk threading, approx. 44" (length) by 46"
The ancestors of the Ainu were a Neolithic aboriginal Eurasian people who occupied Japan before the horse-riding iron-weapon-bearing 'Japanese' appeared on the scene (Fuji ~ "Mountain of Fire" is an Ainu word). Shorter with far more body hair than Japanese, they were occasionally blue/green eyed and may have had some connections with the ancient Jomon Culture. 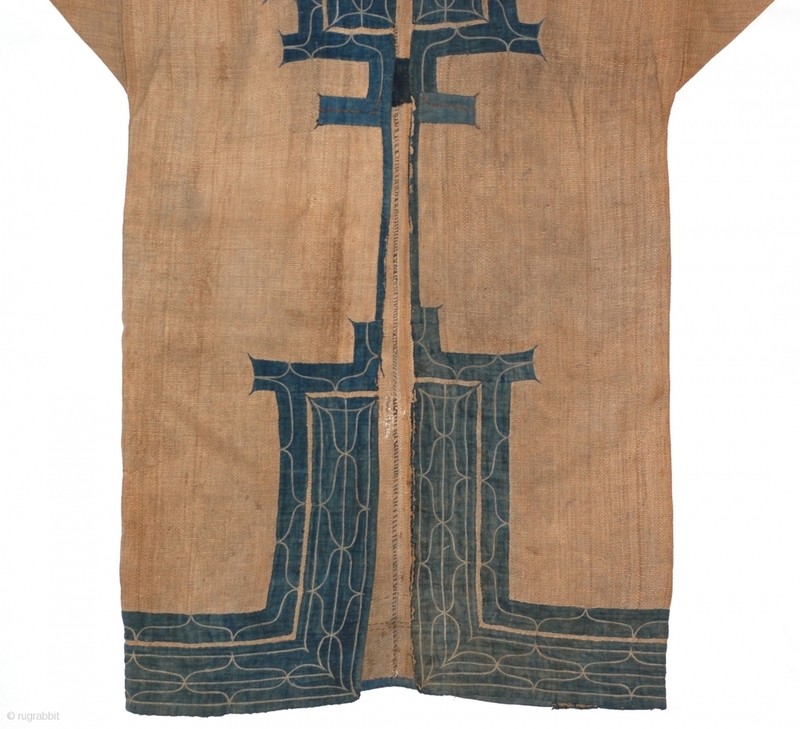 Starting in the 14th century, organized persecution by the Japanese against the Ainu eventually forced them into the wastelands of Hokkaido and the Sakhalin Islands. 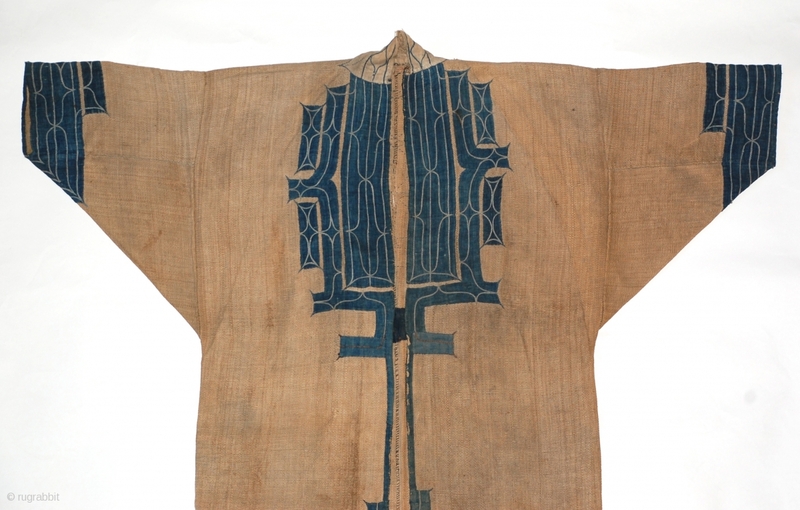 At the time this robe was made there were just roughly 16,000 Ainu left. The cloth is made of the bast fibers of the Hokkaido Japanese Elm, a lengthy process, and all work start-to-finish done by women. 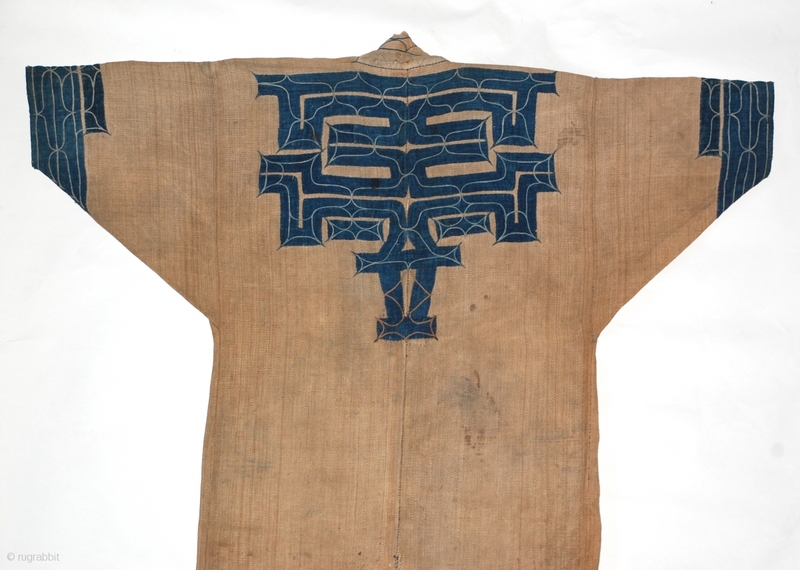 The applique borders, protecting open spaces against demonic forces from entering (mouths are tattooed for the same reason), are made of Japanese indigo dyed cotton. 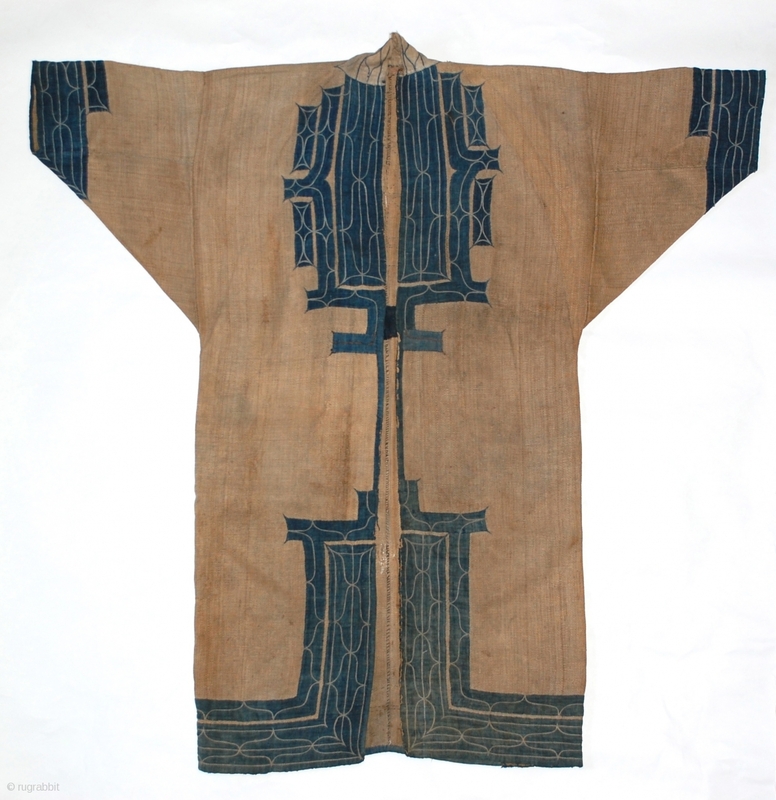 The lines are chain-stitched pale blue silk threads, with some in a light brown colored thread. 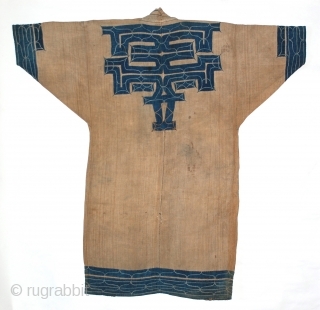 Such a garment was only worn on ceremonial occasions and is known as an 'attush'. 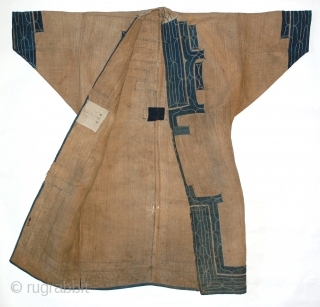 This piece has seen a lot of ceremonies, there are some worn and stained areas and some sections of the indigo have faded, mainly on the lower front hem borders. The collar has some stitching repairs in white and red silk thread. 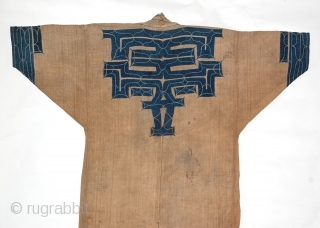 The back is in good basically un-faded condition. 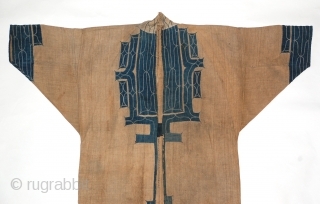 It is an extremely rare piece from a fascinating people.